Contact us to request a reciprocal link.. 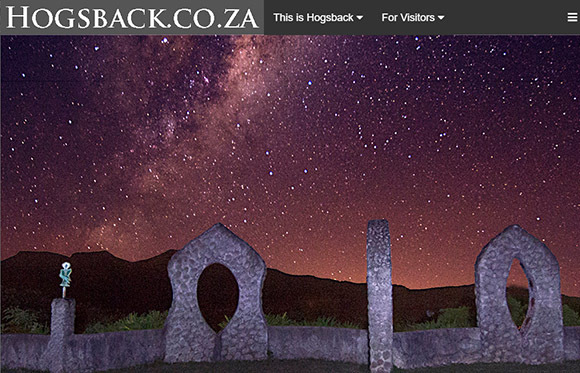 Magical Hogsback Online is your comprehensive vistors&apos; guide to Hogsback. It provides information such as What to do and see in Hogsback, Where to Eat and Drink, and Shops and Services in Hogsback. 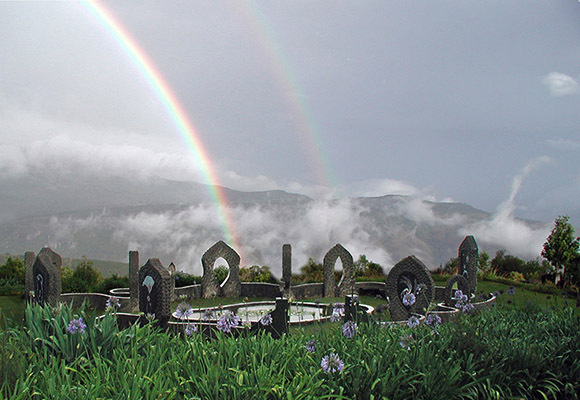 The section "Visitors&apos; Info" has travel directions, maps and guides, Hogsback weather, and answers to Frequently Asked Questions about Hogsback. Diana Graham is an artist who lives in Hogsback. Her home is set on the verge of the indigenous forest in a dramatically beautiful landscape. It was exactly the right place to build an outdoor art installation, where ecology, art and a sense of the sanctity of Earth could all come together. And so she created the Eco-Shrine Centre for Art and Ecology in 1995. It&apos;s been open to the public ever since.